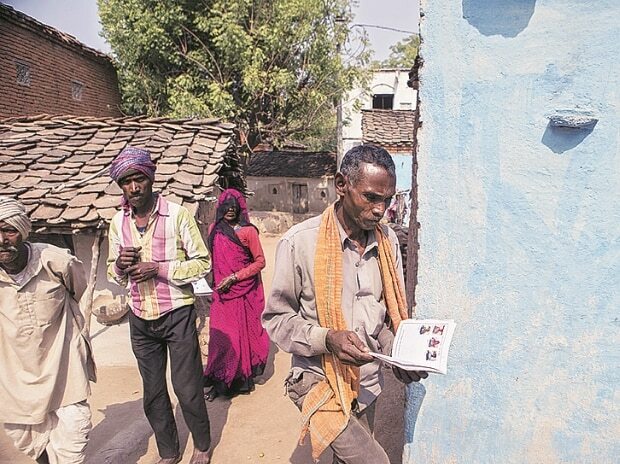 Going by precedents and instructions issued in the past, the Election Commission is likely to approve a Rural Development Ministry request to revise the wages under MGNREGA from April 1, a move that could benefit crores of beneficiaries across the country, sources said Tuesday. The wages paid under the Mahatma Gandhi National Rural Employment Guarantee Act (MGNREGA) are linked with the Consumer Price Index for agricultural labourers (CPI-AL) and new wage rates are notified on April 1, the beginning of the new financial year. The ministry had approached the EC for approval as the model code is in force. The sources in the poll panel said going by precedents and instructions issued issued in the past, the request is likely to be granted. They said the government would be specifically asked against publicising the hike, if the request is approved. Different states have different wage rates so the increase in wages will also be different. The wages may remain flat in some states, while the increase could be up to 5 per cent over and above the current wage in others. The government in this year's interim budget had proposed to allocate Rs 60,000 crore for rural employment scheme under MGNREGA for the year 2019-20. The revised estimate for the year 2018-19 was Rs 61,084.09 crore.